Haffa House is the first hotel in Salalah, Providing the quality accommodation to the visitors. Being pioneer, it is still continuing its effort to main its position and trying to meet the expectation of the clients with professional and courteous hospitality by offering the choice of accommodation, food and beverages options for business, leisure, individual, or family travelers. 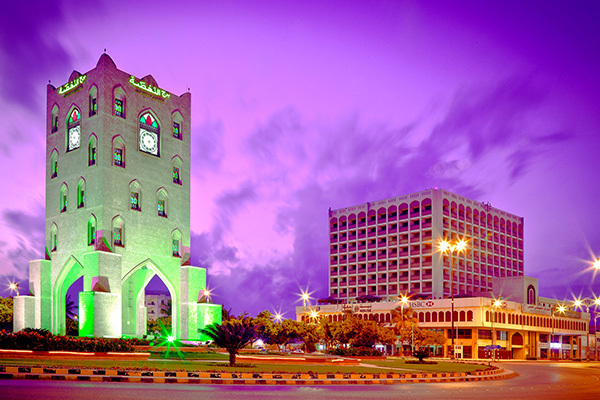 Situated right in the heart of the city, Haffa House building stands as one of the landmark of Salalah city. The hotel is conveniently located for people travelling for business or leisure. We offer well furnished, comfortable bed equipped with modern amenities guest rooms. Conveniently located in 2nd Floor, serves delicious international breakfast, lunch, dinner buffet. Conveniently located on the lobby level on the parking area facing the main street, exclusively offering Lebanese cuisine by our professional chef’s.